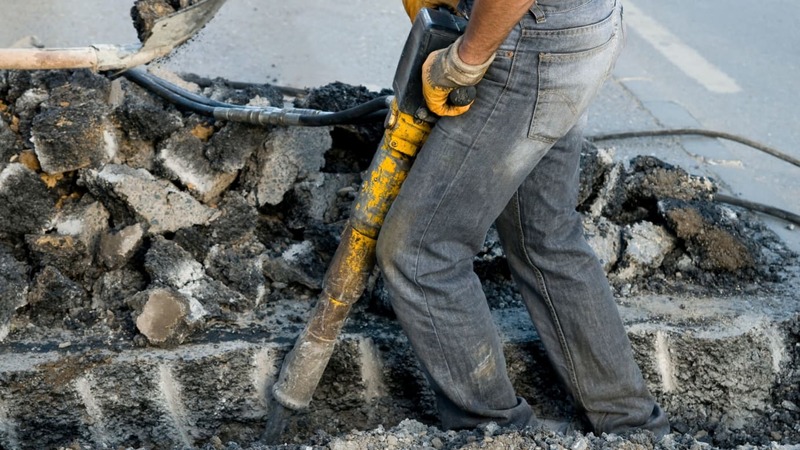 It is estimated nearly two million people in the UK are at risk of developing Hand Arm Vibration, commonly referred to as HAV syndrome. Exposure to vibration in the workplace can lead to serious consequences, causing long-term injury or impairment. HAV is transmitted into workers’ hands and arms from the use of hand-held power tools and hand guided equipment. High risk sectors include construction, carpentry, ground maintenance, engineering, ship building and ship repairs where workers operate powerful tools, emitting high levels of vibration. The health affects of vibration are permanent but the cause is preventable. Employers must act, implementing effective monitoring solutions to help prevent workers suffering life changing conditions. Vibration White Finger (Raynaud’s) - This is a vascular disorder caused by the restricted blood flow, causing visible blanching of the hands. In 2015, 635 new claims were made. Neurological Vibration (Carpel Tunnel Syndrome) –This problem causes tingling and numbness in the fingers with a lack of dexterity and in 2015, 260 new claims of workers suffering from this syndrome were made. To avoid companies and workers suffering the harmful affects of vibration, employers should conduct regular risk assessments of the workplace. Implementing assessments will ensure changes are productive and the hand tools and machinery are safe to use. Failure to carry out risk assessments could lead to serious health problems of workers and detrimental implications for employers. An ongoing monitoring programme is vital to ensure standards are adhered to and that accurate evidence is collated. Different jobs emit different levels of vibration; cutting brick will create different levels to cutting wood. Irrespective of the task, employers must adhere to the government standards of safety that stipulates the daily exposure limit for vibration (ELV) is 5 m/s2. This value is the maximum level of vibration an employee can be exposed to on any single day and above that employees should not continue until steps have been taken to reduce exposure. Employers must also focus on the daily exposure value (EAV), which should not exceed 2.5 m/s2. Employers should take the necessary control measure, ensuring exposure is reduced below this value as far as is reasonably practicable. High powered tools are now designed with estimated vibration levels and employers should use this as a guide, indicating how many products should be purchased and how long workers can operate these for. Measuring the vibration levels, such as with Casella’s equipment, extends this, actually measuring real- time exposure. This is essential, measuring the vibration levels of tools constantly and not just when the tools are new, emitting a minimum exposure. Monitoring gives employers the knowledge that tools and machinery continue to be safe for use after purchase, helping to ensure worker productivity and safety. When manufactured, all monitoring devices should adhere to the standard ISO8041The data monitoring provides could shape further education campaigns, highlighting areas where further training is required, ensuring employees are completely aware of the issues. In a busy industrial sector, operating dangerous tools is an essential part of the job, and continues to be a daily task for workers. Monitoring provides valuable information to reduce and prevent risks. Without monitoring, health could be at risk and workers might end up suffering from the damaging consequences for the rest of their life. Employers must implement change, taking action now. Casella Is dedicated to reducing occupational health and environmental impact risks through effective monitoring solutions.